When you want your ex back, your ego can get in the way. It’s your ego that gets in the way seeking the approval and validation from your ex. If you want an ex back, you have to start with yourself first. “I’ve been dating my boyfriend for over 2 years. He is an amazing guy. He would do almost everything I wanted and one day all of a sudden he stopped. Multiple things were going on in his life, that I didn’t want to understand. I only cared about me and I was not respecting his space. He kept distance between us. I initiated the talk over 20 times. Repeating the same thing, telling him he’ll loose me if he doesn’t step up. Every time I break up with him he comes back the next day. But the last time I broke up with him he didn’t react. He said okay which hurt me even more. In the argument he even told me “I’m getting off you.” Yeah he told me, the woman he once wanted to marry in the future whom he even gave a promise ring, that. I cried and reached out to one of my guy friends who told me basically it was my fault and to follow Katarina. I messaged her and she referred to get her ebook so I bought the book and everything began to come together. I have been doing it all wrong. I was leaning way too forward. So I started leaning back, it worked but not as good because I wasn’t practicing fully. I even sent ab apology. Three weeks later he told me he was going to Africa and invited me to have lunch with him. The night before he went to Africa we met at a party. Five minutes of us meeting he told me he wanted to talk. I kept an open mind. He then told me I DON’T WANT TO BE IN A RELATIONSHIP. I didn’t react because he’d been acting as such. So I said okay…LOL. Then he seemed confused and kept taking it back hugging me, etc LOL. Anyway, he went to Africa and I didn’t initiate. I started my Journey Inward (loved it ). It has helped me so much. I was shocked because I wasn’t expecting that from him, then he kept asking what I was doing. I told him I had plans. Then he called (hadn’t called me in over a month). All of a sudden I was in my room doing my make up and guess who opened my door! I was shocked. He was so affectionate towards me, following me around the house. Wow, I’m still in awe. He kept touching and hugging and kissing me. I was 20 minutes late to work LOL. He said he just wanted to let me know how much I meant to him. LOL… leaning back works miracles, you guys. Best unexpected Valentine’s ever. He never remembered that day before. He even made me a photo album of us of our two years. 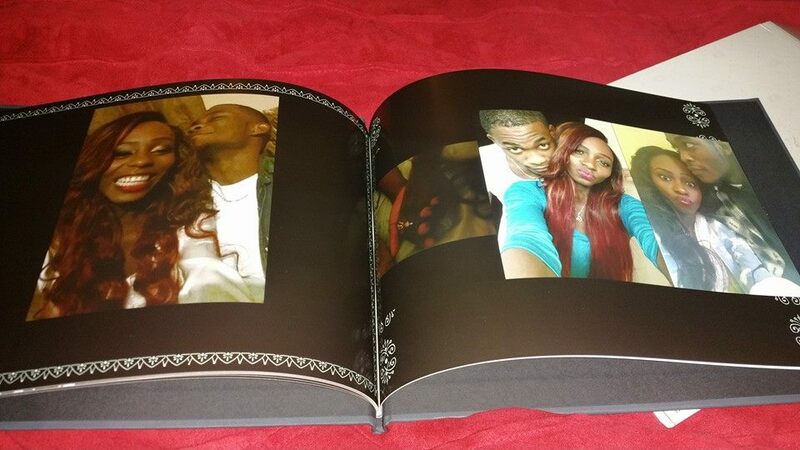 LOL, my alpha male sat down and made a photo album of us throughout our 2 year relationship! Who ever thought that. Bonnie is one of the ladies who sees results almost overnight. She found me in December and in less than a month her ex began to slowly but steadily step up to the plate again. At first he was back and forth but following my method, she didn’t react. my method works like a charm when you want your ex back. She just let him be. If you are in a breakup situation being pushy and assertive won’t get you very far. Problem is though, it is at this time that being non-reactive is almost impossible to do. That’s why you need me and my community. It’s hard to do it alone, I know. I’ve been there. Doubts, fear and resentment will eat you away in the inside. And if you have wised up just a little bit since your last mistake, you know that being reactive and demanding doesn’t work with men, does it? Yes you deserve a good man and a healthy fulfilling relationship and more….but you have to start from yourself first. Be emotionally healthy first. Be less dependent on your guy’s approval or validations. Tame your expectations. It’s all very counterintuitive, right? Like….how does he know what I want/need if I don’t expect and air my expectations? I hear that question all the time. That’s the question the ego comes up with 24/7. But if you see how no expectations melted Bonnie’s guy’s heart, you will start working on taming them. Too much relationship advice centers on how to make the other person do something for you. That won’t work in the long run. Nobody likes to be told they’re not enough. The ego needs to feel special. The ego needs certainty and can’t tolerate ambiguity. The ego seeks problems and keep them growing at an accelerating rate. And you don’t realize how you have been enslaved by your ego, do you? Next thing you know your guy feels stifled and starts to check out cause he can’t make your ego happy. And you get madder and madder. And he gets less and less invested. The cycle continues till you break it. If you are tired being a pawn in the ego’s battle with itself and everyone else, it’s time to join my Journey Inward as Bonnie and over 1100 other ladies have done in the two years and a half. This program will take you on the path of understanding what kind of species the ego is and how to allow yourself to listen to your Higher Self more than to your ego. This new year five ladies in our community got engaged (three happened on Valentine’s Day). And rest assured that wouldn’t have happened if these women had let their egos run rampage. The only thing in common is they are softened and non reactive. They are sanctuaries to their men. Have you been a sanctuary to your man? If you are, he can’t lose you. He won’t want to. Good looks and tight bodies are easy to find but a woman who is radiating in her feminine energy is a rarity. That is why what I teach works extremely well. If you are weary and wary because you are not sure if your relationship is going anywhere, I have held the 3rd cycle of Four Components Of Melting His Heart, “The Goddess Road To Engagement” Edition in celebration of the so-many engagements in the group. I am a huge huge huge fan of yours Katarina, I love your advice, and I read your blog everyday. I’m dyinnggg to sign up for one of your Journeys Inward or to purchase one of your products, but I’m not financially independent (yet) and my parents are strict Muslims, I’d never be allowed 🙁 I try to apply your principles of leaning back, working on myself, choking that damn ego xD All this was inspired by one guy, and I apologize for the long email but I really really really need some help, I’m completely confused. At an interschool event last February, I met this guy, and it was just love at first sight. When I saw him I just felt everything inside me telling me I have to know him, it was like magic. He felt the same way too, we were so drawn to each other. We got together after a week! And everything was so so so perfect, he was/is the perfect guy for me in every sense. I think it was the masculine-feminine polarity at work because that’s what he is – such a guy, and he completely makes me want to surrender and be led. I loved/love him like crazy. He seemed pretty crazy about me too, he introduced me to his friends, he kept talking about me to like, everyone, and he kept telling people I was a keeper and that we were going last. There was one point he showed me his very worst side and he said he felt like crying because he didn’t understand how I could still love him. Apparently, he had been with this girl for four years, and it was a very dysfunctional relationship that ended horribly – I don’t know the details. But he never got over her and before he met me, he had been a player who didn’t care anything about girls. But when he met me, he thought I’d be the one who finally changed that, and he really did care about me. This is what his friends have told me – they were surprised at how he felt for me. I was devastated, needless to say. We didn’t see each other for 6 months and when we finally did (at another interschool function) he just asked for my help with something. There was a little awkwardness – I was told he moved away from a certain seat cause I was right in his line of vision, and he told someone he wanted to talk to me but I seemed unapproachable. Although he told my friend to tell me I looked beautiful ^-^ Which makes me happy even today -_- Last February we saw each other again at a week-long Model United Nations conference (which his ex also attended) and he said hi to me once..one of his close friends kept trying to get me to talk to him. And on my birthday recently, he texted my friend and asked her to wish me a happy birthday for him. She gave him my number and said he should do it himself. He said “She’ll ignore me, it’s better you do it.” She told him I won’t, so he texted me and we talked for a little about school and birthdays and that was that. After we broke up, I started researching constantly how to get him back..it’s what led to me learning about putting myself on a pedestal, and about masculine and feminine energy, leaning back, no contact, etc. I did the no contact thing religiously, I *never* initiated contact with him after we broke up. But that doesn’t seem to work…he’s not exactly chasing me. At all. Everyone tells me he doesn’t care and I’m being stupid for not letting go. And, I try not to think of him and focus on myself, but I guess I’m not doing that right…maybe he can feel my energy’s still on him? He’s still my weak spot, and I’ve dated two other guys but none of them make me feel even one tenth of the way he does – I mean, when he texted me just three words “Happy Birthday Qamar” I was ecstatic! And this person I’m currently non-officially seeing wrote me such a long birthday message and I felt hardly anything..do you see what I mean? Please give me some advice 🙁 I want my ex back so bad. I don’t know if it’s desperation? I don’t think it is because I know I can get other guys, but I just want him 🙁 I don’t know what to do, how to feel..I’m sure I could make him happy, we were so happy together, I don’t know why he went back to his ex when she – at least according to my knowledge – makes him miserable and brings out his worst side. He told me I inspired him 🙁 I want him back, I want him to be as much as in love with me or more as I am with him…please help me do that 🙁 I’ve been suffering for about a year now and it’s just too much. I wrote a whole thing last weekend on (dumbly) Kat’s FB page (which I deleted once I realized it was public) about how I had gotten involved with an EUM and the more I leaned back, the more we lost touch. Before all of this had happened, he had gotten me an interview with his company, and i ultimately landed the job, so he did a really great thing for me. I had hoped it was going to work out, but he was ALWAYS gone, which wasn’t too much of a problem, but he wasn’t there emotionally there either. My purpose of signing up with Kat was to overcome the anxiety and confusion I was feeling at the beginning of this “non” relationship. I had several of these types of men before in my life, so I realized at one point that I wanted to overcome my issues weather it be learning how to be with an EUM or at least learning how to deal with the emotions that come with being with an EUM. I was at a work convention last weekend and it was very awkward to be around Danilo (EUM) for work because no one was supposed to know that we were dating. Plus, we hadn’t had a chance to connect privately since the end of January. I had recently found out that he had lied to me about his age to me on 2 occasions (found out by accident, his date of birth was on my work contract and it turns out he’s 20 years older! ), and i had some mixed feelings because I was starting to not really feel much for him anymore. I hadn’t even had a chance to discuss it with him since we hadn’t seen each other in over a month and we barely spoke on the phone- at least not about personal stuff. I had requested to speak to him privately at the end of the convention so that I could get a sweater back that I had left at his place. When we finally met up, he apologized for never being around (which he did EVERY time we spoke), saying that’s why he can’t have relationships, etc.. Mind you, I have never complained, asked him about it, NADA, so his obsessive need to talk about it had me a little baffled.. as though he was expecting me to be upset by this. I just replied, yes Danilo, I understand.. however, this is the life you chose for yourself. He replied, “yes it is, and I love it, it’s what makes me happy.” I replied with, “then I’m happy for you, if that’s what makes you happy, then that is what you should do.. btw, is there a way I can get my sweater back from you?” (smiling and batting my eyelashes). As this week has progressed since i had seen him at the convention, I’ve come to understand just a bit more about myself and what is going on inside of me. There is one missing key that is keeping me from being a good relationship.. it has to do with the men I pick. Plenty of men look at me, flirt with me, profess wanting a relationship with me DAILY.. I get endless text messages, love messages… 4 men have asked me to marry them since my divorce (over the course of 9 years), which i excepted only to break it off months later (my mom calls me the run-away-bride). A man that I had a “story” with 11 years ago just yesterday professed his undying love for me (he’s become a sort of guardian angel)- he tells me often that he has never forgotten me, but he made other choices years ago and he’s married now with two girls, I just very graciously accept his warm friendship… He’s not the only man in my life like this.. I’m not involved with these men, just male friends/past lovers that wished to stay in my life. I’m not without male attention… And YET, for the most part, I’m a dateless woman! Yes, men want to marry me, sleep with me.. without even dating me. And there I DO draw the line. Very few men actually ask me out on a regular DATE. I just want to get to KNOW people and see where it leads… but I don’t know why for the love of god men don’t muster up the courage to do it. Somehow, in some way, I’m not letting them in. The ones that think they have a chance are always the ones that don’t have a chance. Dorky guys that I’m friendly with- they often mistake my friendship for something “more.” I’ve tried being in a relationship with this type (because I wanted to give “nice guys” a chance), but it’s always a disaster, and those guys end up not being so nice and the worst of them comes out- jealousy, insecurities, possessiveness…one of them had been a friend for 14 years- that went horribly wrong. In fact, there have only been 3 types of men in my life, and none of them are good: 1. the type that think they’re in love with me a week after they’ve met me (needy men), or 2. guys that want a “Wam Bam Thank You Mam”. or 3. EUMs (I will expand on this since I’ve figured something out more profound this week some thanks to what I’ve learned from Kat and some of what I know about myself). I used to try to go along with the first kind, but that only ends up with me feeling suffocated and running away. The second kind is OUT OF THE QUESTION (I have NEVER had a one night stand not for any other reason than I need to feel connected to a person before even going there), and the third kind.. well, I’ve had some pretty crappy experiences with those and will continue to work hard to no longer ever be involved with another EUM! The EUMs that I have picked are not only EUMs, like emotionally distant guys that Kat talks about.. these EUMs are emotionally distant because they have narcissistic personality disorder. This also explains why I was so instantly attracted to Danilo.. I have amazing instinct and pick up on them right away! You see, when I originally told Kat what was going on, I unintentionally left out some important details, but it’s only now that I’ve completely let go and have had time to reflect what has happened.. I had told Kat that I was physically molested as a child and since that time, my mind has this incredible ability to just “skip over” obvious mistreatments and abuses, as though my mind doesn’t accept as though “it’s really happening.” Beyond Danilo’s complete emotional and physical absence (which I learned to not make it about me and overcome the anxiety and how to lean back), he, on several occasions reacted and said things to me that made me feel “ashamed, humiliated, un-special, put in my place. I’d broken down in tears with my self-esteem completely on the ground on several occasions. I have worked years on building a healthy sense of self-worth, so for me to fall into a lapse of that magnitude, something is going on. As a survivor of spousal abuse, I have over time learned to become appalled by these behaviors (thankfully), his intense need to dominate reminded me of my ex-husband’s behavior, so when he treated me in ways that had me emotionally crashing, I desired him less and less. Only twice was I able to respond and stand up for myself because usually it was “hit and run.” We would sometimes not speak for days which gave me no opportunity to even respond because I am still unable to react immediately when these situations do arise. I freeze and break down. It’s only hours later that I can even unscramble the thoughts and verbalize my feelings. So this is what I have learned: I am immediately attracted to narcissistic types, but I quickly get turned off. I don’t EVER want to get involved with one again, I thought I never would, but obviously I’m still making bad choices. Although this man in the end in his way “rejected me,” when I started to lean back and put it on him, he started to pull away too.. Narcissists need complete adoration. Mid-way through our story, right after our night together, he said to me, “if you want me to fall for you, you have to show me how independent you are.” (this is total crap). He also told me that he’s a “good looking man and women of all ages chase him and one women broken up with him because she said, he’s “too cool and she can’t handle it” (this I found to be very cheesy and he’s average looking- not really that good looking). He made a special point of making sure that I “understood my place (not just in a relationship sense- but as in overall status, he’s is wealthier, successful, etc..)” and that I am “one of many” as though HE was the one that had something to offer. His overall message was that I’m lucky to be spending time with him. He has a grandiose sense of self. I’m not saying this to point the finger, but rather I’m just putting the puzzle pieces together and to recognize what I had been dealing with. However, hiring me into his company was a plus and I will remember to always be grateful for that. I am curious as to what this will be like over the course of time, but I’m making sure to become a valuable asset to the company and be favored by the other owners and to continue to be kind and respectful towards Danilo… I think that in this situation, it’s best if he believes that he’s the one who didn’t want ME so that his ego doesn’t cause conflicts with my job. So here is what I hope to resolve in my life: I am so RARELY attracted to men. I don’t know why, and when I am finally attracted to someone, it’s always a guy that people will describe as “undeserving, a loser, or just not right for me”- for some reason, subconsciously I still believe that I deserve these guys (I don’t really know why at this point since I think I’ve made so much progress…). Male friends often tell me that men don’t ask me out because they are initially intimidated by me because of how I appear. They say that because I’m always dressed very elegantly (I’ve been a fashion designer for 15 years! ), so men think I’m “expensive”, I live in a dream setting- a villa in the hills of Italy, a life only rich people can only afford. I’m raising my kid by myself with a full-time job and no help from anyone. (BTW.. I’m complete broke, i just have Coco Chanel style tricks up my sleeve..haha). They think men don’t think that I need them, that there is no room for them in my life… but I don’t know what to do, I have to do this, this is how my daughter and I survive. I don’t except this explanation, I don’t want to think from a place that men are “intimidated” by me… I don’t give them a reason to and I don’t want to give up who I am… In fact, I am an open person and I make friends with such ease because I can easily connect and relate to people. I openly laugh at myself, and put myself on the same level of people that I am dealing with. I have friends of all types from all backgrounds from all ages, rich, poor, sophisticated, humble.. I just LOVE people and I get so much love and adoration in return from my amazing family and incredible friends. I am so profoundly lucky and grateful… so why isn’t this applying to my love life? What is the damn hitch, why and what am I doing to myself? Hopefully, I will finally figure it out during the course of your program! Emilia, you’re doing great, don’t succumb to any definition about you by anyone. You just have to continue to cultivate the feminine energy and trust your own desirability. If your diagnosis about these guys true then being aware of your tendency to always be attracted to those narcissist guys is a huge leap forward. When you lean back you will only allow good decent men to be in your life: i.e. men who show genuine interest to court you and be with you. A new day for a new Emilia. Brava. Thank you Kat! Let me add to this thread.. Last Friday, another boss tricked me into a situation where he was able to get me in a place where he could put his hands all over me.. It got kind of scary because at one point, I wasn’t sure i was going to be able to get him to stop.. I ended up slapping him and had to fight him off several times. He did everything possible to get me into “sleep” with him, and for whatever reason he was completely shocked that I turned him down. These good looking, “high-powered”, “high-status” men actually treat you as though you OWE them your sexuality- that us women are lucky if they chose us. It’s really bad here in Italy and this is not the first time something like this has happened. I once lost a job because my boss wanted me to “available” to him. It took a huge leap of faith and walked away as a penniless single mom… but I’m still here and we didn’t starve. I figured it out. These men are so apparent to me now, they’ve been exposed in my eyes. They don’t care about your well being, they don’t care what happens to you OR your child (in fact, knowing that you’re alone with a child makes them even more apt to try to take advantage), they only care about you fulfilling their temporary need and their ego. Now the next step is to figure out 1. how to make it stop from happening (i.e. me stop being so naive and trusting and seeing past the manipulation) and 2. if something like this DOES happen TAPE RECORDER!! I love reading your blog, but I have a massive problem. I think I might be pregnant and my EUM would be the father. He said that he would commit to me me if I am pregnant (and I think we both know that I most likely am), but in the meantime, before I have any solid proof that I am pregnant, he is continuing his “EUM mind-games”. I don’t want to prove that I am pregnant until he commits to me first (I don’t want to look as if I got pregnant just to make him commit–because I didn’t). He, however, would LOVE it if he would appear to surrender to me because he was “forced” to with a baby. I truly believe that he does love me, but refuses to get rid of his emotional unavailability. From your posts, I realize that the best thing to do is “lean back” and continue dating other guys and let him go…but that has proven to be extremely difficult when I know I really do NEED him to stick around (and he is well aware of this, too). He isn’t dating or sleeping with anyone else right now, but he just won’t make us “official” and uses his damages from his divorce as an excuse (he basically prefers to have me “long” for him). I understand that sooner or later we will be together, but I just want him to see me as high value and chase after me before that happens. I want to have the upper hand without even trying and I need to get this done soon. How would I be able to do this in my situation? If you’re pregnant, he needs to know. Forget about being chased and all that, take care of that situation first. What are you gonna do with that? And invest in my book and programs so you know the definite ways of being a true goddess that a man commits to.